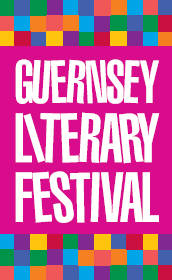 This year, the delightful island of Guernsey is holding its inaugural literary festival. They may be starting on a relatively small scale, but they have some big names lined up - topping the bill is Annie Barrows, half of the writing partnership behind the internationally successful novel, "The Literary and Potato Pie Society". Further down the list is yours truly. My contribution will be a flash fiction workshop, held in the Guille-Allès Library on the afternoon of Sunday 15th May. I'm excited about this, as it's the first time I've been asked to take a workshop of any kind. At first I was unsure I really had enough publishing success behind me to be of benefit to a class full of people looking to discover the 'secrets' of writing short stories. However, the best thing about this is that it's forced me to take a look back at what I have achieved, and that's been surprisingly positive. Okay, so I've not got an anthology of my own I can plug when I go over to Guernsey, but I've had a respectable number of stories accepted, which have made it onto the web, into a couple of books, and a magazine or two. My competition wins and placings have netted me a decent amount of cash over the last couple of years, and in getting to this position I have interacted with a fair few editors and other people in the industry. So, maybe I do have more insight and useful experience than I initially gave myself credit for. So, I'm starting to plan exactly what the workshop is going to involve. I have a few ideas, and have sketched out an approximate structure that I'm happy with. The next bit is refining this initial plan, and working out various examples and exercises to use. It's an interesting process, and I'm enjoying it and looking forward to taking the workshop and hopefully meeting a bunch of enthusiastic writers keen to have a crack at writing short fiction - whether attempting it for the first time or developing existing skills. However, nothing's set in stone yet, and if anybody is thinking of signing up for the workshop, perhaps arriving here from the link on the GLF website, and wants to know anything or has any suggestions on what might make the workshop particularly useful and interesting, please let me know. Just leave a comment and I'll get right on it. Taking a workshop sounds very exciting - and those pictures of Guernsey are fantastic. I hope you have a great time. I imagine your delegates/students (I don't know what you'd call them) might like details of competitions and markets they can try once you've fired them up with enthusiasm, so you might like to take some details of those with you. You should definitely try to get over there sometime, I love the island and I've usually been fairly lucky with the weather. It's a lovely setting and I feel very privileged to be doing my workshop there. With it being a workshop I'm not sure there'll be much to record. However, I'm going to put some handouts and things together, and I'm thinking it might be of interest to make these (or a version of them) available on this site. Thanks! I'm really looking forward to it. I agree, possible markets for flash fiction seems like exactly the kind of thing people would be interested in. I've been putting together a list, and have most of the usual suspects - Every Day Fiction, FlashFictionOnline, Vestal Review, Six Sentences, etc. I'm starting to get a few competitions as well. I'd be so pleased to hear that somebody had taken something they'd written in the workshop and gone on to get it published or win something with it. thought i would check in and say hi as i am very much looking forward to attending your flash fiction workshop in guernsey next week. as a writer of short fiction it will be interesting to see how other people see the form and the way other writers approach it. anyway. looking forward to the workshop. Hi Ric, thanks for visiting. It's true, it is always interesting to find out how other writers go about the process - there seems to be at least as many approaches as there are writers. I look forward to meeting you and hope you enjoy the workshop. I've taken a quick look at your website, too. I like your style.